The FDA's draft guidance for new dietary ingredients for supplements is not only counter to the intent of the law, it is bad for consumers' health and their wallets, and bad for our economy. Set aside a few minutes to call your legislators and ask them to take action to stop the FDA's overreach of power! Follow up with an email by clicking on the link at the bottom of the page. you'll see a link that will let you "log a call" to your legislator. Please click that link and log your call! It's the only way we can keep track of how many people have taken action. Thanks! Identify yourself as a constituent at the opening of the call. Thank the staff member for their time taking your call. To find your elected officials' phone numbers, please enter your ZIP Code. If you live in a split district, you may need to enter your full address. My name is [Name] and I am a constituent of [Representative’s name]. I request that Congress direct the FDA to carefully review their draft guidance, and unless they amend the guidance to reflect my concerns, to call hearings at the end of the review process. When the Dietary Supplement Health and Education Act was passed, Congress intended there be a simple notification system for new supplements. But now the FDA is turning it into a pre-approval scheme—one that Congress never intended. This will reduce the number of supplements sold and increase the cost of those that remain. I am simply asking that the FDA honor Congressional intent and protect my access to the supplements I depend on to stay healthy. 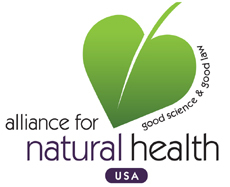 Congress recognized that dietary supplements are natural ingredients and therefore inherently safer than drugs and chemical food additives. It did not intend that the FDA would have the power to approve or reject dietary supplements. The FDA’s draft guidance creates unnecessary regulations that limit my access to the dietary supplements I rely on. The expensive and burdensome process will force between 20,000 and 42,000 dietary supplements to be removed from the market and will increase the cost of those supplements that remain. Please keep close watch of the FDA to stop them from defying Congressional intent with their new draft guidance. To increase your impact, be sure to follow-up by sending an email to your legislators as well. Click here to email your legislators!